This picture is from Erin Braxel, a third year member of Esperanza. 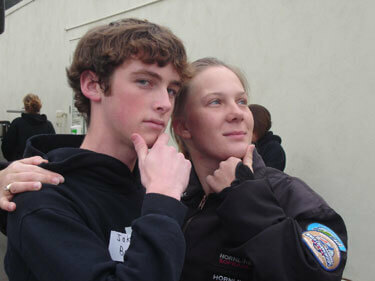 This is Jake and me at Esperanza's December audition camp this year. We both were excited to see each other again and to be marching one more summer together.